“It is with regret that the Board have had to part company with the manager Craig Laird. Whilst we would like to thank Craig for all of his hard work and success on the pitch, his decision not to sign a contract and commit his future to the club can’t be ignored any longer. In addition to this, his request for a further £42000 increase to his budget, a £6000 overspend on the agreed budget for this season, and the fact that he has already received an increase of £27000 since joining us, has left the Board with no alternative than to part company. The club cannot meet those financial demands and will continue to pursue Conference Premier Football within a responsible financial strategy. 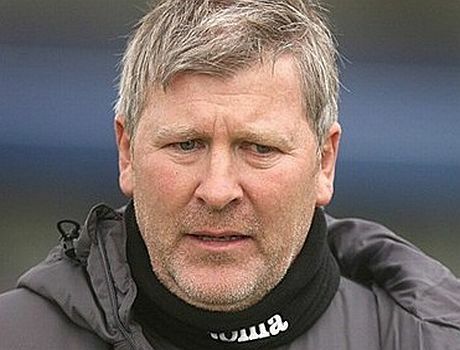 Laird had been in charge at Woodspring Stadium since May 2010 after leaving Bridgwater Town to take the job. During his tenure at the club, LAird maintained their Step 2 status, whilst also winning back to back Somerset Premier Cups, the first time the club had won the trophy. Posted on March 3, 2014, in UTL Archive and tagged Craig Laird, Skrill South, Vanarama NL South, Weston-Super-Mare FC. Bookmark the permalink. Leave a comment.